The poet and writer Jacques Chessex is now one of the most remarkable writers of Switzerland. For several decades, his poems, novels and stories, but also his "chronic" and numerous tests have an impact on French literature. 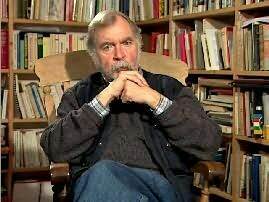 He is revered in France and won the Prix Goncourt in 1973 for L'Ogre. His stylistic brilliance is not only to explain his success. There are also troubling fascination with the themes it evokes, this bold alliance between sensuality and metaphysics, its own way to reach love to death and involving, sometimes bluntly, eroticism to transcendence. Fatal duality of man, that only art, in its many manifestations, can perhaps be overcome.